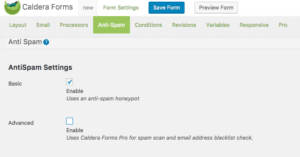 Caldera Forms 1.6.0-beta2 or later has a Anti-Spam tab in form editor. It has a checkbox that for basic anti-spam – this was moved from “Settings” tab in previous versions. Basic anti-spam feature is enabled by default, and Caldera Forms Pro provides an Advanced option where you can specify the form submitter’s name and email address. 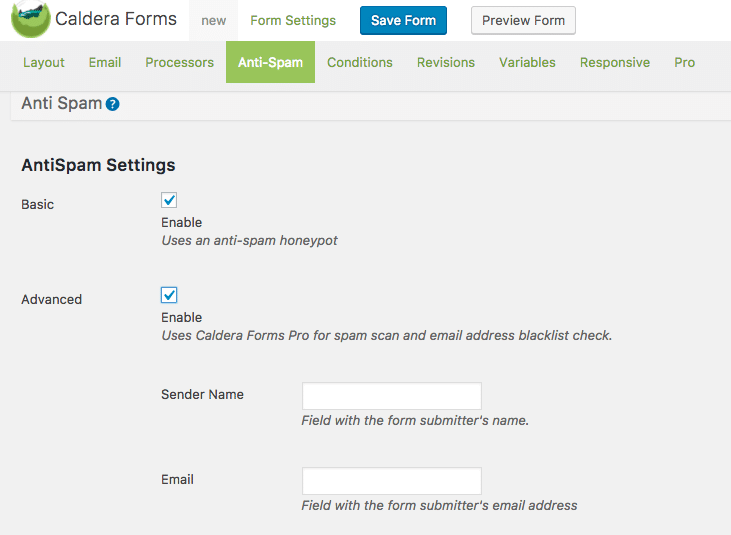 To get start, make sure you have installed Caldera Forms Pro. When you click the checkbox and enable Advanced Antispam Settings, two options come up: Sender Name and Email. For Email, put in magic tags for the field that captures the person submitting the form’s email, then put the person’s name in Sender Name.